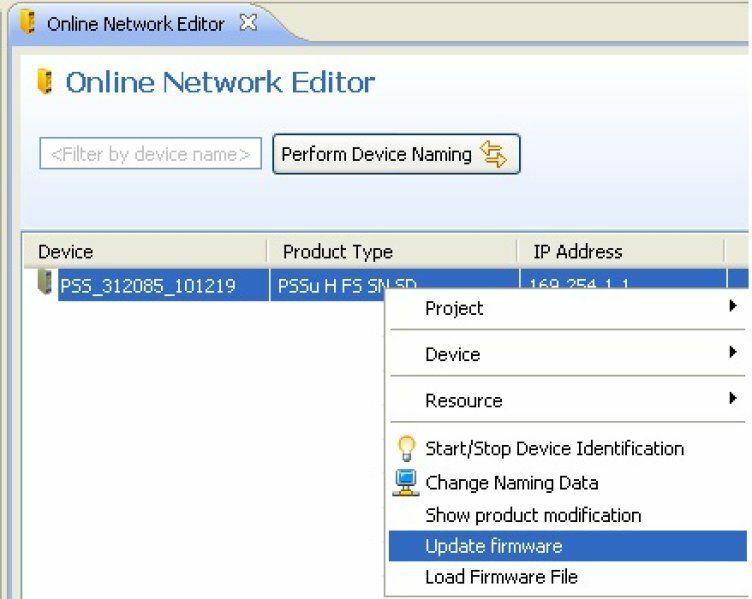 Example: Firmware update from FW-Version 1.5.0 to 1.6.0. The steps for firmware update are identical for all firmware versions. 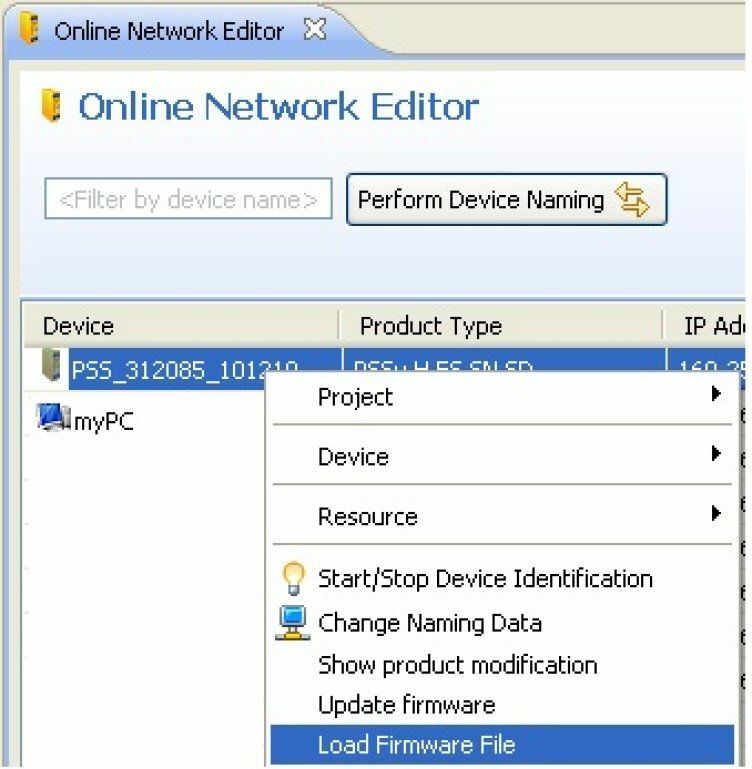 Change the IP from your PC in the range from the devices (for example PC:169.254.1.5 and PSS:169.254.1.1). Now you see your device. If you see flashing lights in the line of your PSS 4000 Head. You have a correct connection. 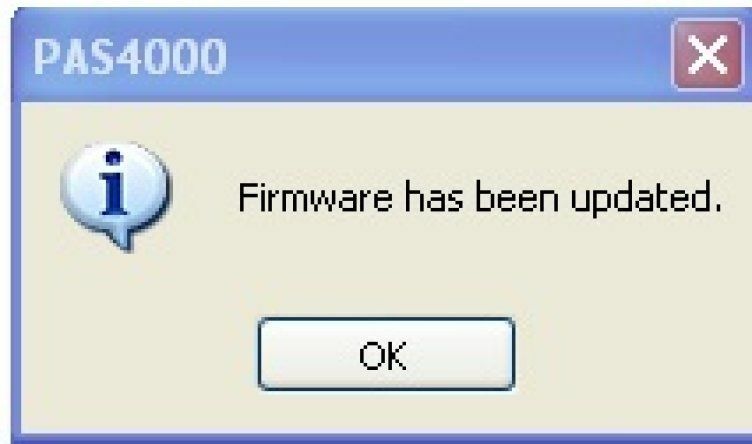 Only then a Firmware Update is possible. Therefore take the mouse und click with the right button on your device. The firmware package file has been loaded. Click on “OK” to continue.